Welcome to our asymmetrical ISIS world: “The rapid evolution of small unmanned air systems (sUAS) technologies is fueling the exponential growth of the commercial drone sector, creating new asymmetric threats for warfighters,” notes DARPA, or the Defense Advanced Research Projects Agency. They believes cheap, tiny drone tech presents new asymmetrical challenges to defense systems that protect fixed and mobile ground and naval forces. 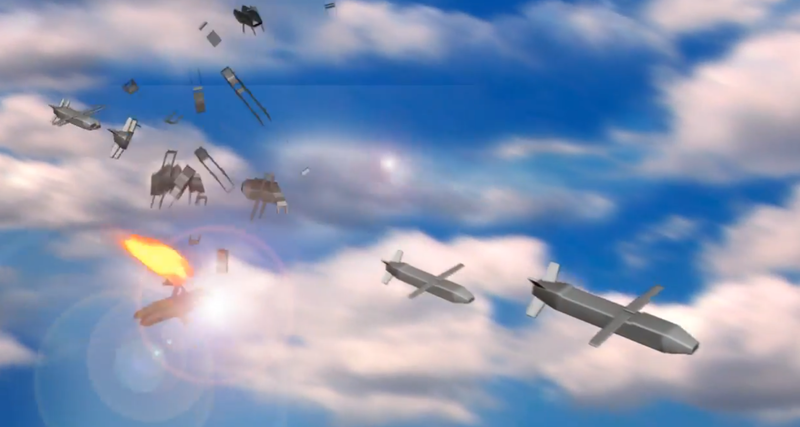 For the envisaged system to have any deterrent effect, DARPA believes it must be capable of being widely deployed to protect a large number of assets. “These emerging irregular systems and concepts of operations in diverse environments require technology advancements to quickly detect, identify, track, and neutralize sUASs while mitigating collateral damage and providing flexibility to operations in multiple mission environments,” DARPA says. DARPA wants this system, which could go on trucks and ships, to be capable of “addressing rocket, artillery, mortar, and other conventional threats.” The United States Air Force and Army are developing laser weapons, and the U.S. Navy already fielded one laser weapon, and is working on others. The Marine Corps, which shares a budget with the Navy, is even working on laser-toting anti-drone trucks. Earlier, this June, it was announced that Pentagon researchers are moving with their plan to develop vanishing deliver drones that could deliver supplies to forward-deployed troops and then disappear. The Defense Advanced Research Projects Agency has awarded contracts to two companies for its Inbound, Controlled, Air‐Releasable, Unrecoverable Systems, or ICARUS, program, which seeks to develop an autonomous aerial system that could deliver 3-pound payloads to within about 32 feet of a GPS-programmed location and then fade away.